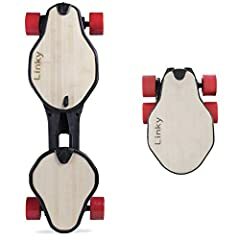 The Linky is a folding electric longboard designed for traveling. It folds to fit inside a backpack! Great review. Thanks for covering the airport/airline considerations, an important feature that is overlooked in nearly every other review of electric mobility. Great review and nice drone footage! What drone were you flying?